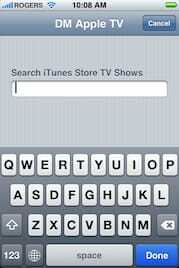 A short while back, I discovered that I could use the Apple Remote App on my iPhone to type on AppleTV! 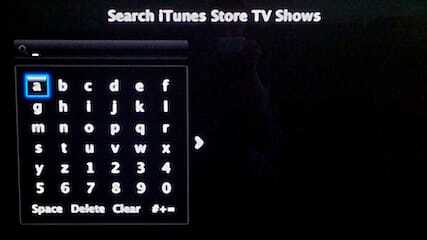 So, if you enter any screen on AppleTV that requires typing (searching YouTube, movies, TV shows, etc. ), the iPhone screen changes to allow you to enter text – nice! Here’s the best part – it even works when you want to enter an iTunes account username and password. So, if you live in Canada like me and also have an US account that you switch back and forth from, this not only makes it easier to enter your information, but now by not having to use the on-screen (TV) keyboard, no one else has to see you type in your credentials on the big TV screen! Thanks apple! Very nice indeed. 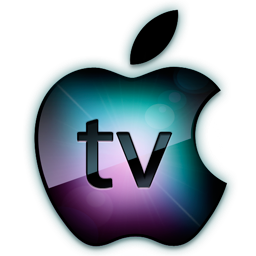 AppleTV Wireless Keyboard: iPhone Remote was published on Wednesday, May 27, 2009 at 2:52pm MDT by Daniel Menjívar and last updated on April 11, 2018 at 9:30pm UTC .